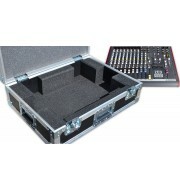 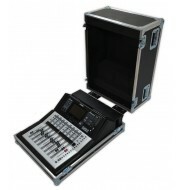 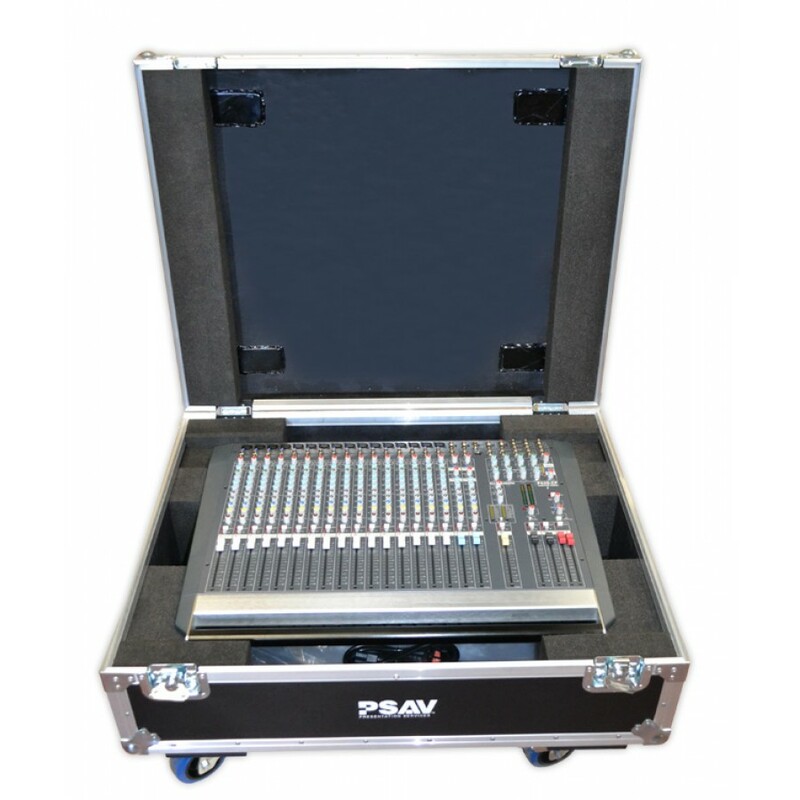 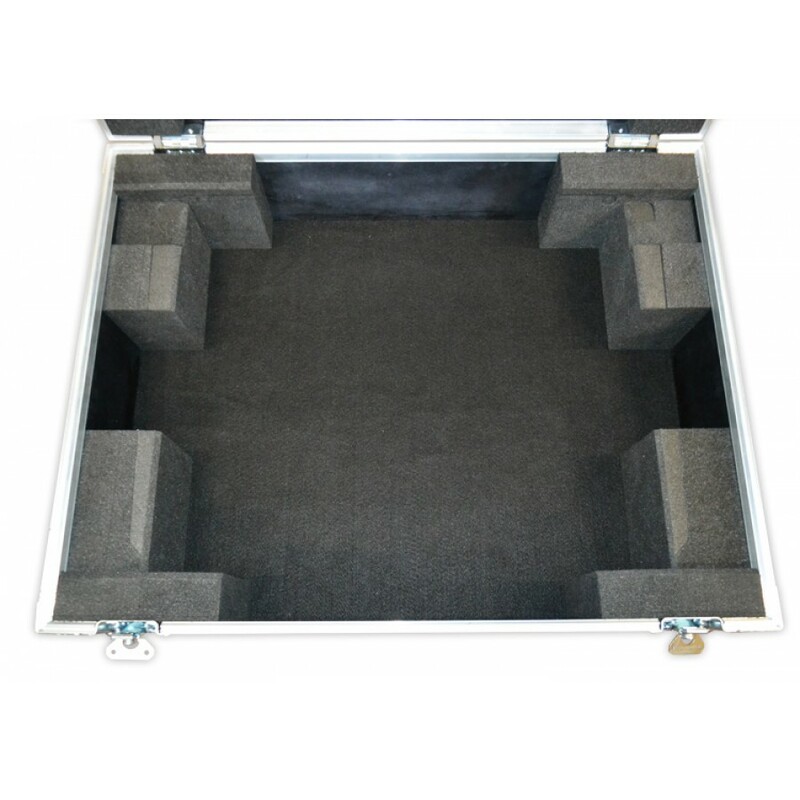 A wheeled mixer flight case designed for an Allen & Heath PA20CP console. 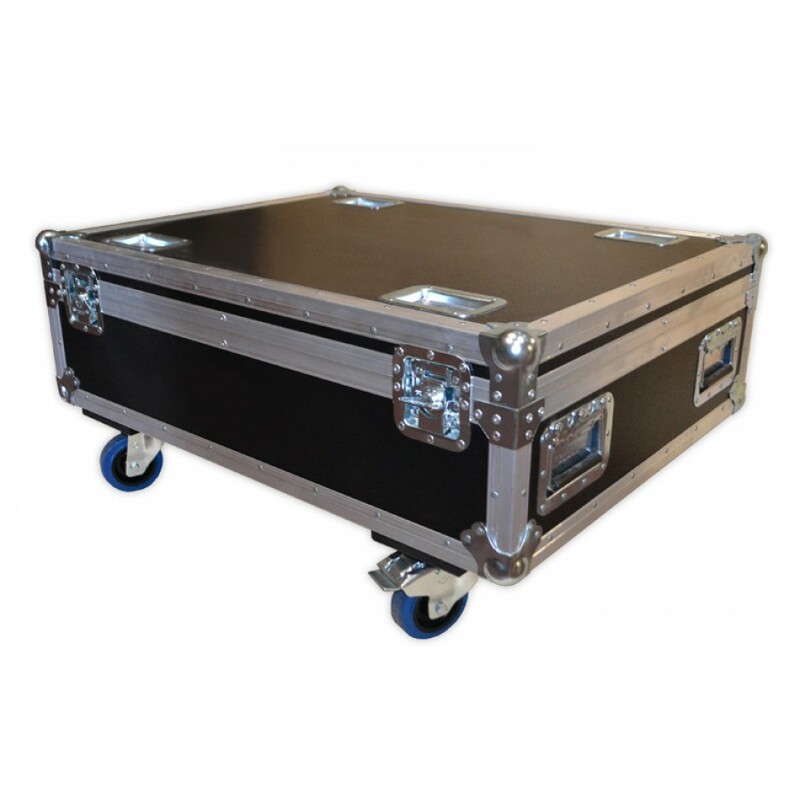 The mixer case is finished using 9mm PVC and is complemented by aluminium edges. 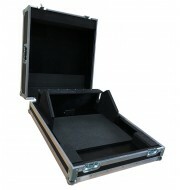 The base of the case is foamed using dense LD18 to support the console. 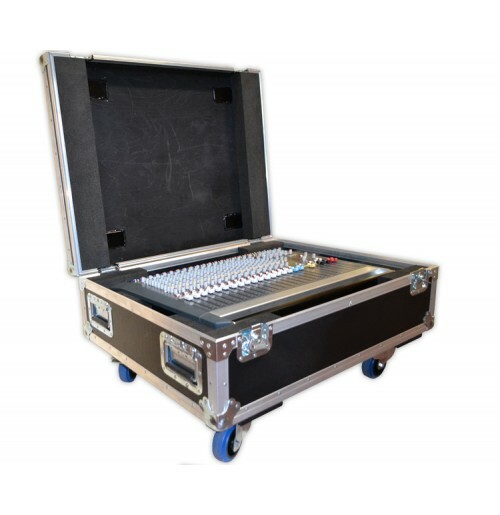 The dense foam strips are strategically placed in the lid to limit the movement of the console during transportation and to allow space for the knobs.